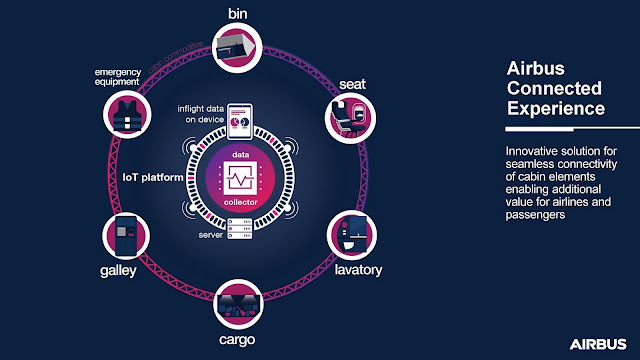 Following extensive market feedback and support from our industrial partners, Airbus has decided to proceed with an IoT* platform for the cabin, known as the Airbus Connected Experience. Up to now this has been a concept study, which is “coming to life” following cooperation agreements signed with three best-in-class partners: gategroup, Stelia Aerospace and Recaro Aircraft Seating – with more to join. The connected cabin will provide airlines, flight crews and passengers with significant benefits. For flight crews, it means that they can access an integrated platform which keeps pre-flight and real-time data in one place, while passengers will receive a more personalised travel experience. 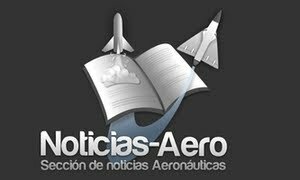 And for airlines, the platform would allow them to use the aggregated cabin equipment usage trends (of the connected elements) to perform predictive maintenance analytics over their entire fleet – thus improving the overall cabin service reliability, quality and performance on board all their aircraft. The platform will also allow wireless streaming to passengers and will enable airlines to host third-party applications for movies. The Connected galley will enable passengers to pre-order from a dedicated prediction of preferred food and beverage for passengers – which also reduces waste and increases passenger satisfaction. It will also enable cabin crew to benefit from full transparency of inventory management for efficient operations, as well as facilitating remote passenger communication to deliver quick and personalised passenger service based on individual preferences. Connected seat: The connected seat will provide passengers with personalised seat position settings as well as remote ordering of preferred beverage or meal via personal devices. And onto their IFE screens, passengers will be able to receive customised content including movies of interest or relevant advertisement for topics they are interested in – such as recommendations for concerts they would enjoy at their destination. Connected bin: Not only will a “smart” bin indicate free space to place passengers’ luggage faster, but it could also enable space management, so that passengers can book the space for the bags in advance. As an aircraft manufacturer, the market has clearly expressed interest in having Airbus in the “driving-seat” to develop an IoT platform integrating the data within the cabin. This platform is designed to be linefit and retrofit and will be available on our A320 Family first, before extending to other Airbus programmes. Not only is this platform fully compatible with Airbus’ Open Software Platform (OSP) currently offered as a service, but the connected experience will also be “Skywise Ready” for future data analytics – allowing predictive maintenance.